We are a part of everything we have come from. Our ancestors’ experiences created the world that we now inhabit. Often, their lives are described in clues all over our houses. So what can we learn from the tangible objects that have been passed down within our families? Heirloom is a participatory exhibition that provides an opportunity for girls to learn about their own families’ histories through interviews and researching old photographs, artifacts, and heirlooms. Girl Museum aims to empower girls with knowledge and understanding of the present day through learning about the past. This fit perfectly with the 2013 International Museum Day theme, Museums (Memory + Creativity) = Social Change, so we have partnered with Chick History to produce our HEIRLOOM project. To participate, view the contributions below to gain inspiration. Next, scroll down to review our instructions via downloadable PDF that will help you journey into your family’s past. Then, send us a picture of your heirloom and its story, and we’ll feature it in this exhibit! Contributions are accepted on an ongoing basis. 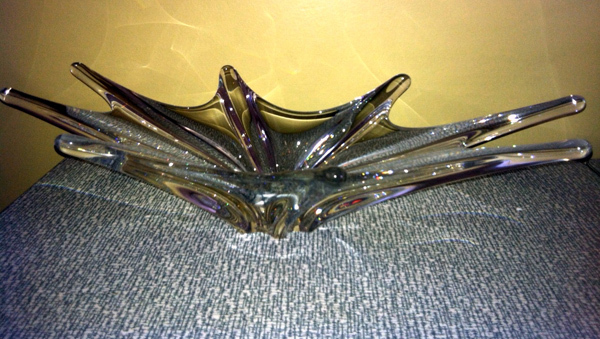 This beautiful lead crystal bowl was given to my mother by her grandmother. I have always admired it because it seems so unique. It came into my family when my grandfather sent it home from France for his mother, who handed it down to my mom. Upon asking more about it, I learned that it was from the Baccarat crystal factory in France. My grandfather was stationed in Toul, France while he was in the army. He bought the bowl in Nancy, France. It was very expensive when he bought it, and then the post office would not insure it when he tried to send it home. Luckily, my great-grandmother received the bowl in Michigan in perfect condition. 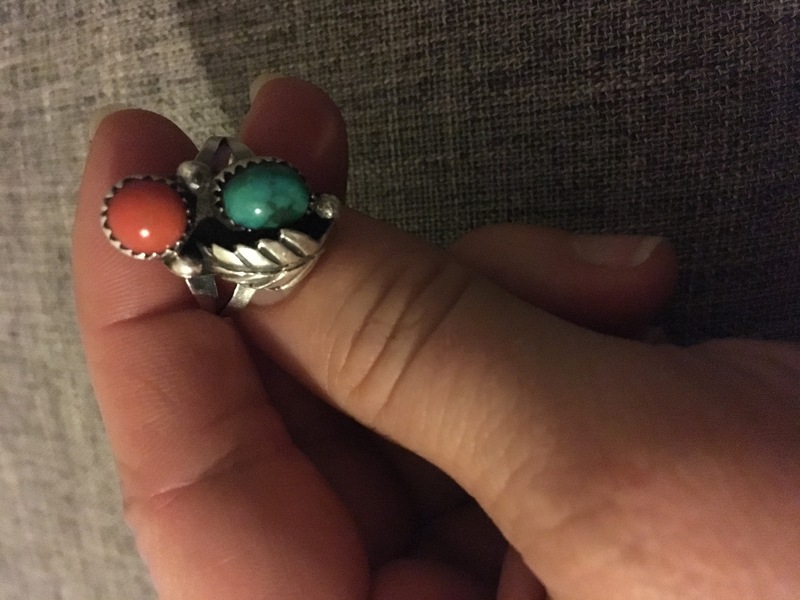 To me this silver ring, decorated with turquoise and coral, has always been a family ring. I received it from my mother shortly after beginning college. I remember her making the remark that it seemed to “fit me”. Knowing who I’ve become, I like to think she meant my spirit. The ring once belonged to Laurene Dinsmore (Pruiet), my great-grandmother. She passed away when I was very young so I did not get a real chance to know her. Growing up I heard stories that she had supported the Republican Party but I did not know to what extent. In recent years and after turning to the internet, I was able to connect childhood stories to some newspaper clippings. Not only did it confirm her involvement in the party, but it also named her as chairwoman during the campaigns of 1952 and 1956. Campaigns that supported former President Eisenhower. I am told that she wore the ring along with several other pieces as symbols of the State of New Mexico to the National Conventions for those years. I find it rather amazing how one small ring can connect you, not only to your family, but also to larger events of the past. Ready to learn about your family heirloom? Need a handy-dandy research guide? We’ve got all the questions, suggested resources, and steps to help you get started.